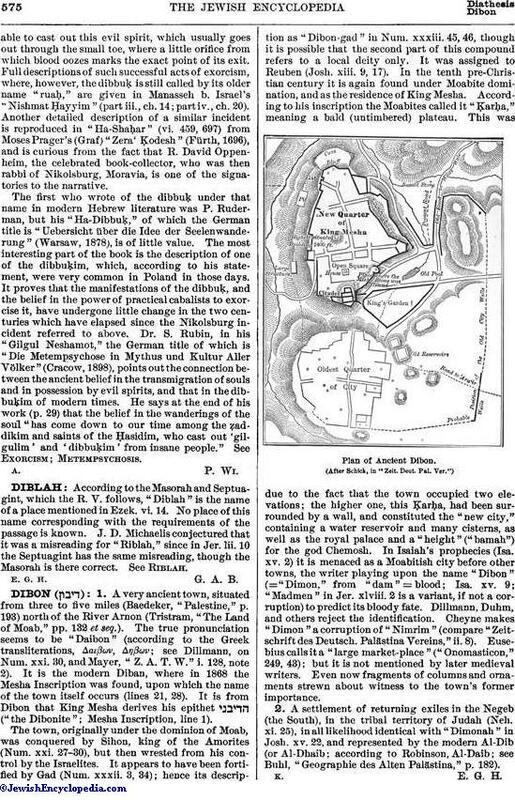 According to the Masorah and Septuagint, which the R. V. follows, "Diblah" is the name of a place mentioned in Ezek. vi. 14. No place of this name corresponding with the requirements of the passage is known. J. D. Michaelis conjectured that it was a misreading for "Riblah," since in Jer. lii. 10 the Septuagint has the same misreading, though the Masorah is there correct. See Riblah.